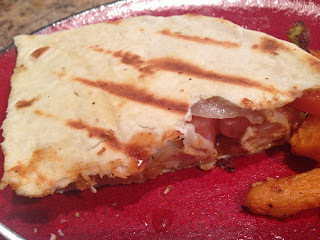 Remember the flatbread I made the other night? Well I have a whole bunch in my freezer so I took one out tonight and defrosted it to have for dinner. 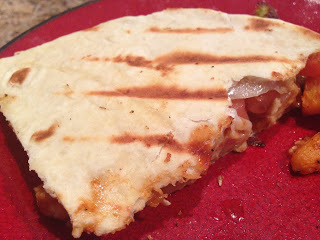 I actually made paninis last night too but it was so good I had to make another! My husband was working so it was great to make one again. Ohh man talk about delicious. I am a big fan of onion…..anyone who knows me knows that. I just love it and could it eat it practically every meal. I’ve also become a fan of fresh tomato. But I also really like barbeque sauce. I have to have it on my burgers and I like it on chicken a lot. This is just a winner. 1. 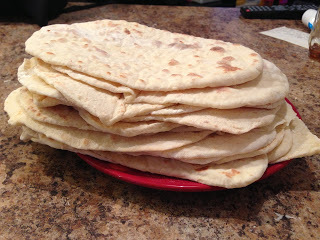 Prepare Flatbread (RECIPE) or take out of freezer if you already made a batch like I did. 2. Heat a skillet with about 1/2 – 1 tbsp olive oil and chop onion. Throw onion in pan and stir frequently. 3. Cook till translucent and turn off heat. 4. Grill chicken on George Foreman or outside grill. 5. Cut into strips and toss in bbq sauce. 6. 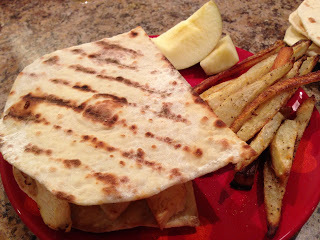 Take your panini bread and cut in half. 7. 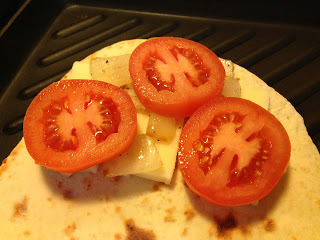 Put on pan or panini press and put mozzarella cheese on (1/2 ounce). 8. Put onions on top, tomato next, half of the bbq chicken, cheddar cheese (1/2 ounce) and lastly the other flatbread half. 9. 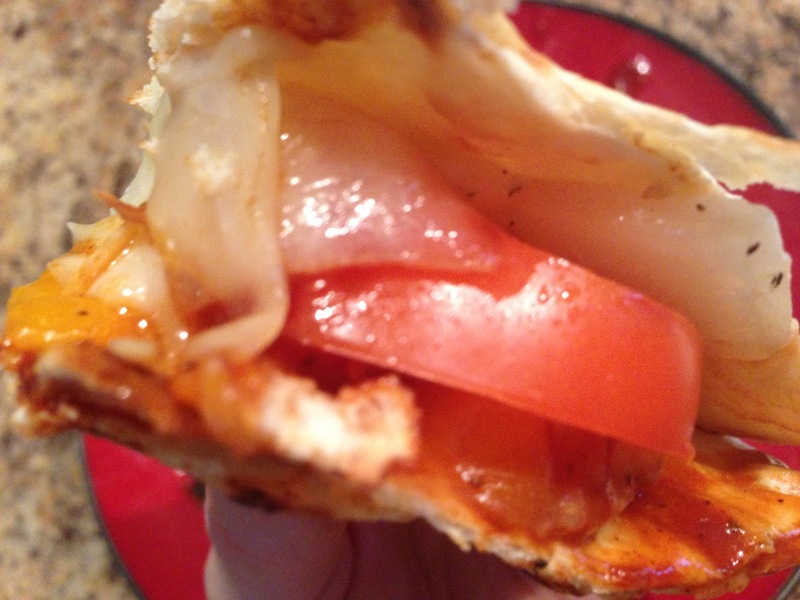 Layering the cheese on top and bottom helps the flatbread stick to everything and not fall apart when you flip and eat it. 10. 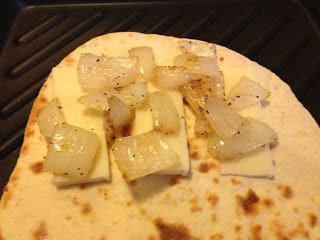 Turn pan on medium and allow cheese to melt on the bottom without the flatbread burning. 11. Flip when ready and slightly browned. Cook on the other side till cheese is melted and bread slightly browned as well. 12. I ate fresh strawberries and had roasted vegetables which was a perfect pairing (RECIPE for roasted vegetables).